Volve CE announces an entirely new motor grader range, the G900 family. Adopting a "clean sheet" approach, the seven model G900 range of motor graders combines higher productivity with increased user friendliness in a quality Volvo package. Built on two distinct but integrated platforms, there are seven models in the range, including two all-wheel drive machines. Fitted with either a D7 or D9 Volvo engine, the G900 range is designed to combine the attributes of productivity, operator friendliness, reliability and ease of service – in a quality package. The seven models in the range are the G930 (15,554kg), G940 (15,957kg), G946 (16,650kg), G960 (16,678kg), G970 (17,702kg), G976 (18,395kg) and the G990 (20,993kg). The first four models are fitted with the 7.2-litre D7 Volvo engine, the larger three use the 9.4-litre D9 engine from Volvo. Volvo engines produce high torque at low engine speeds, combining responsiveness with fuel efficiency. The G900 family combines the technological strength of the Volvo Group with familiar Volvo CE attributes, such as a superior operator environment. 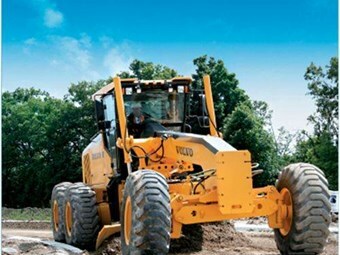 Each G900 Motor Grader features EU Stage IIIA and US Tier 3 compliant Volvo engines utilizing Volvo Advanced Combustion Technology (V-ACT) to run cleanly and without the extra service requirements of additional equipment or after-treatment of exhaust gases. All seven models have three power ranges, depending upon the transmission gear selected, as standard equipment. This feature works to optimise engine performance and enhance overall fuel efficiency by matching engine power to the application. Wide stance blade lift cylinders coupled with the low angle side shift cylinder provide the most stable grading platform in the industry. 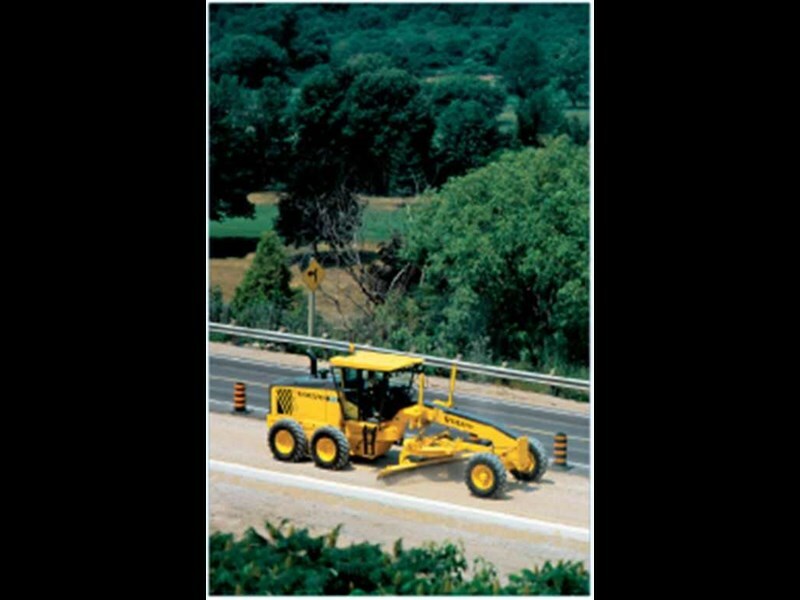 Proportional Demand Flow (PDF) intelligent load sensing hydraulics and a powerful twin-gear, direct drive circle turn system result in a precise, instantly responsive earthmoving tool. It also provides high strength to hold or turn the moldboard smoothly while moving under full load. This accuracy of control and performance results in more "one pass" finishes – contributing significantly to productivity and cost saving. The G900 range of motor graders uses Volvo’s own designed HTE840 transmission, which has selectable Manual, (optional) Autoshift and Travel modes. With Autoshift the operator selects the target gear and the transmission shifts automatically through turns and grades as needed. Its shuttle shift feature aids quick, simple duty cycles by allowing shuttling between selected forward and reverse gears in a single smooth motion without clutching or pausing, greatly reducing operator fatigue. Autoshift comes as standard on the Volvo exclusive HTE1160 transmission – the industry’s first 11-speed grader drive train. With 11 forwards and six reverse speeds, the optional HTE1160 transmission allows more control (at low speeds), more efficient travel (at high speeds) and more precision in the normal working speeds. Such control also pays dividends when it comes to fuel economy as the engine can be operated at its most economical rpm. The robotically welded frame helps ensure structural rigidity while the full perimeter rear frame design protects the power train from load stresses created by side and rear attachments, such as rippers. The front axle has a high centre ground clearance, a sharp steering angle and a minimum of components to minimise maintenance. The operator environment of the G900 range meets the demands of safety, comfort and ease of use that has become a signature of the Volvo range. ROPS/FOPS certified, the Volvo cab’s familiar styling features large glazed areas that allow forward, rear and downward views – aided by six optimally placed interior and exterior mirrors, which together give a commanding view around the machine. The low noise, low vibration cabin is pressurised and has two large capacity filters to maintain a constant flow of clean air. All essential operator controls are mounted on a slide & tilt adjustable centre pedestal. 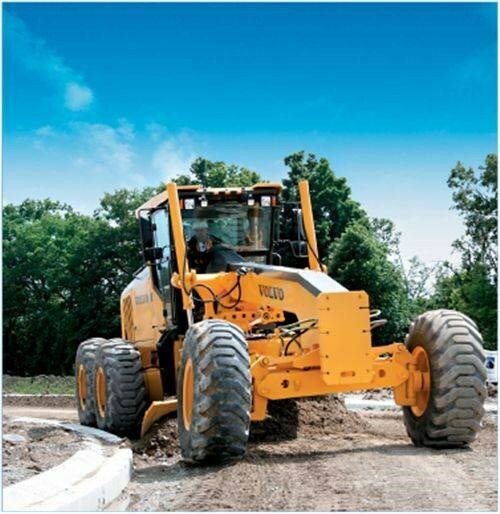 Low effort pedals and short throw levers help reduce operator fatigue – and all are within easy reach.